Project Management and consultancy is a major part of our business. Being an IT reseller and able to procure the very best services and technology in the market place provides a natural extension of our service to give a full project management opportunity for our clients when they look to expand or move offices. Our are very used to working directly with clients, or with architects and other professionals, to create office environments which meet or exceed the increasing demands of the business and the teams that are going to occupy the premises. 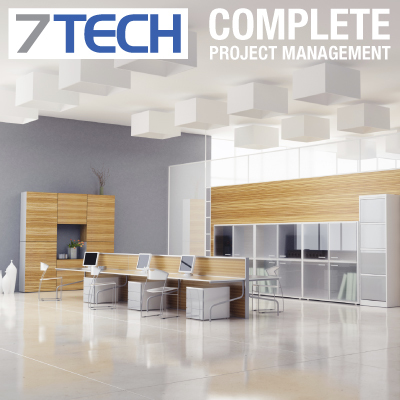 If you are looking for a complete Project Management Solution, 7TECH are your perfect partner, and with 20 years experience and incredible relationships with a multitude of specialist suppliers, we can not only give you the perfect office environment, we can save you money, and maintain your IT systems going forward. Contact us today to find out more about this comprehensive service!